Home Resources Articles Termly Update: FREE Policies! The digital privacy landscape is developing and becoming more precarious for small business owners to navigate. Termly wants to help give your business all the resources it needs to meet changing standards and regulations by offering you one custom-built legal policy for FREE! That’s right, one attorney-crafted policy ABSOLUTELY FREE! Which Policies Can I Craft for Free? Which Features are Included in the Free Plan? What Are the Differences Between This Plan and a Paid Plan? In fact, you won’t even be asked to enter your credit card information when taking advantage of our free plan. 2. Which Policies Can I Craft For Free? This agreement provides a guide for how users are permitted to interact with your website or app. It serves as a contract between you and those who access your site. Creating a comprehensive refund and return policy for your website is essential for building customer trust and saving your business from potential financial losses. This document should be easy-to-understand and accessible to your users. 3. Which Features are Included in the Free Plan? After you’ve created your policy, Termly will host it for you. All you need to do is copy and paste the link we provide onto your site, and users will be directed to your policy. We’ll make sure your policies are kept up-to-date with the latest rules and regulations by automatically updating your policies when need be. 4. What are the Differences Between This Plan and a Paid Plan? While the free membership is a great option for those looking to test the waters before committing to a more comprehensive plan, our premium accounts are recommended for business owners who wish to keep their company legally compliant and their customers happy. For almost all websites and apps, a single policy isn’t enough. Most likely, your business requires a variety of legal documents to both appease your consumers and keep your company on the right side of the law. With a premium plan, you’ll have access to unlimited policies. Use any and all of our builders to boost your business’s protective measures. 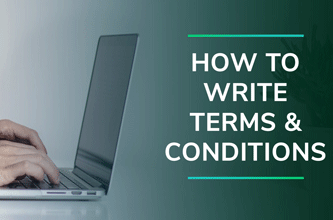 Streamline your website’s aesthetic – right down to the look and feel of your legal policies. Premium features allow you to personalize your text, background, font, and design to match your business’s image. With a premium membership, you can choose between having your policies hosted by Termly, or embedding those policies on your own site. The free plan only allows you to have one policy on one website. However, if you upgrade to a premium membership, you can build policies for as many sites and apps as you need. To learn more about the features and benefits you can enjoy as a Termly user, check out all the details of our membership plans.